$1295 is the price for Le Corbusier LC6 table at www.gibraltarfurniture.com (800 416 3635). 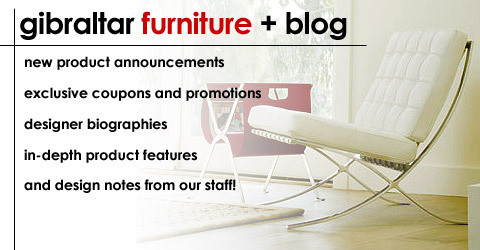 Furniture nirvana for classic ! DWR offers the same piece for $ 2,050.00 – $2,175.00. The main difference is that the official Cassina release comes with a certificate of authenticity and our reproduction does not. This edition is a world class imported product that will be a showcase addition to any collection! This classic icon is another timeless design by Le Corbusier. This dining table can do double duty as a manager’s desk. In 1929 in Paris, Le Corbusier and his team of designers presented a revolutionary collection of furniture that stunned the city. Among the pieces was the ethereal yet bold LC6 Table (1928), a mathematically refined structure of steel and glass that has become one of the most important International Style tables of the 20th-century. Made of aeronautical steel, the base is welded for a seamless finish with sculpted angles and smooth, mitered corners. Together the elements create a sense of line, scale and proportion unsurpassed by other designs.200 mm x 50 mm x 2 mm thick elliptical tube ovoid steel frame in black finish. The measurements for the table are 88.5″ x 33.5″ x 27″-30″. 3/4″ thick clear glass top included. This slab of architecturally proportional perfect glass spotlights a slightly beveled 3 mm edge which as featured in the original release. The base has four supporting points with steel threaded shanks, permitting height adjustment up to 50mm. We ship this unit via a special white glove inside transportation delivery team. Included in this service is custom inside freight service, uncrating, installation, placement, and the removal of all the trash. This unit weighs over 350 lbs and all of our customers love the special treatment that this includes! We have this table in stock for a quick ship! Glass and the frame are included in the set price. All purchases are fully covered by Lloyds of London and the Yahoo buyer’s protection plan. The Yahoo! Buyer Protection Program covers any item legitimately purchased through Yahoo! This protection covers purchases for material defects and other issues.